Fibroids are quite commonly seen in women of reproductive age group. Only those which are causing symptoms need to be treated. There are two methods of treating fibroids: medical and surgical. The other relatively uncommon method is radiological embolization of fibroids which is fairly new technique compared to surgical techniques which has been in practice for a very long time. The treatment of fibroids is primarily determined by three factors: age of patient, size & number of fibroids and their location in the uterus. 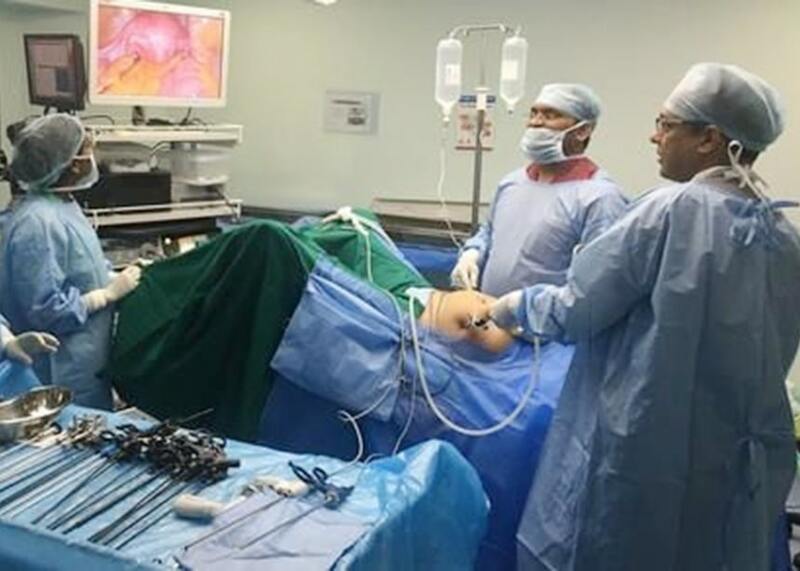 Almost all fibroids can be removed by laparoscopy (key-hole method) barring very few that are very large and may not be amenable to this method of surgery in which case laparotomy (open operation by midline scar) may have to be performed. There is a theoretical risk of bleeding to the extent that one may need blood transfusion although this is rare in our practice. Medical methods include certain types of injection and oral medication that may have to be taken over a period. These medicines work by shrinking the fibroids to some extent although they will not ‘go away’ completely. In woman who is unable to get pregnant and has fibroid uterus, surgery may increase chances of conception particularly if there are no other identifiable factors. Apart from bleeding problems and pressure symptoms, fibroids can also cause infertility in some women. Fibroids that are asymptomatic mostly do not need any treatment and can be managed by close observation. There are however many women who need treatment which can either be by medical or surgical method. There are also other less popular methods available to treat symptomatic fibroids. In those who need surgery, age of the woman, number, size and location of fibroids determine the approach. Almost all fibroids can be removed by laparoscopic route including multiple and large fibroids. Only in exceptional situations a laparotomy (open operation) may have to be performed.